Just a couple of months ago, we have talked about the things to do when you inherit a WordPress website. Many people have asked about the old domains. People are even buying them so that their new blog can have a better domain authority. There are many people who like to use the older websites and start again so that the content of that website can remain the same. You would need some things to know which can help you while inheriting an outdated WordPress website. An old WordPress website would have everything old, you have to update each and everything. From the WordPress core to the plugins. What Are The Things You Should Do To Bring That Website Live Again? You can’t jump directly to run that website again. It’s not possible. The SEO of that website would be negligible. You have to audit it. Let me start with the steps you have to take. #1. Check For The Malware. Many WordPress websites are getting attacked every year. It’s possible that due to lack of security, the website has been hacked by someone. You can check it at Sucuri Sitecheck website. They will analyze the website and give you the details. If you find any malware then first fix that issue or leave. #2. Backup The Website And The Database. As you know the website may be running on the older version of WordPress and the database would also be too old. You have to backup that website with FileZilla and the FTP account. 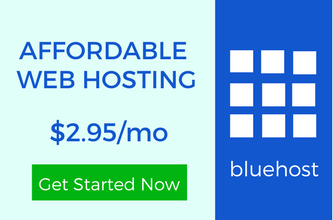 You can also use the cPanel directly from the web hosting account. The same goes with the database. Backup the database using phpMyAdmin to your computer. There are many plugins which can help you to backup but the manual method is recommended. #3. Move The Website To The Local Server. Whenever you do any experiment, it’s always recommended to use the local server. You can copy a live website to localhost created by XAMPP or WAMP. To do that, you have to need the backup of the website and the database. There are a few more steps to take. You have to change the site URL in database. To create a local server, you should know how to install WordPres on WAMP server and XAMPP. Check the theme installed on the website and have a look on all the plugins. Most probably, the theme would be outdated. If you want to update the theme then do it only if you know the things to do before changing your WordPress theme. While changing your WordPress theme, many other things can happen. If you want to keep the same theme then you can update WordPress theme manually without losing customization. But if you want to redesign it then create a child theme. Tips to inheriting an outdated WordPress website include the theme fix at the first position. People make many worst web design mistakes, you should keep the things in your mind. There are many website layout tips which can help you to build a better-looking website. #5. Check All The Plugins. If the website is too old then most probably, all the plugins would be out of date. You should update those plugins only after updating the theme. It’s because whenever you update any plugin, your database changes. Check the functioning of the whole website after each plugin update. It’s possible that some of the plugins can conflict with others which will show the errors in WordPress. After all the updates of the plugins and the theme, you should check it for a few days. Check the new plugins which you want to use on the live website. Don’t be in hurry. It would be hard to fix the issues once to move to the live server. If you have used the same theme then it’s possible that the old versions of HTML, PHP, and CSS may create some problem. It’s recommended to buy a new theme. There are many theme providers like Elegant Themes, MyThemeShop etc. And if you want any custom WordPres theme then you can contact us. #7. Move To The Live Server. After all the tests, you can transfer WordPress site from local server to live server. It can be done be using the new backup done from the offline server. 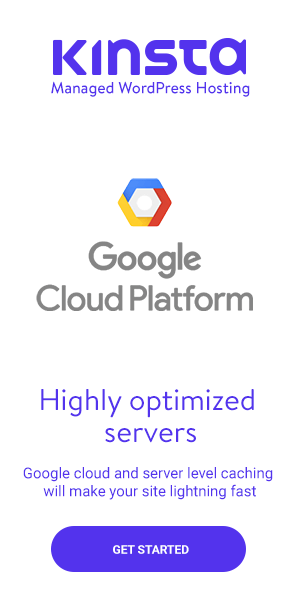 Create a new database and import database to the live server. 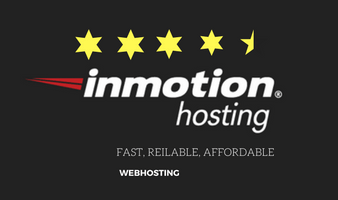 For this process, you would need a reliable web hosting like InmotionHosting and BlueHost. If the website is big then choose WP Engine which is one of the best managed web hostings. Change the site URL according to the domain name and fix the broken image links if any. While inheriting an outdated WordPress website, you should check all these things including the credentials of the database. You have to edit the wp-config.php file otherwise, you will get “Error Establishing a Database Connection“. Don’t forget to set the SEO friendly permalink structure. Install all the plugins and test it on the live server. If everything goes right, congrats, you have successful accomplished the task. Are You Ready To Inheriting An Outdated WordPress Website? People fret when they deal with the older websites. It’s because if you’re inheriting a website which is many years old then you have to redo every single thing. Start with the design and go further to the plugin updates. SEO is the most important thing to look upon. You should SEO audit for that website to improve Alexa ranking. Do you have any old website in your mind? What would be your blogging goals if you decide for inheriting an outdated WordPress website? Our readers would like to know your opinions. If you found the article helpful, you can also connect with us on Twitter, LinkedIn, and Facebook. Thanks for sharing your point of view, I’m glad that you have very deep thoughts about the DA. But I don’t like to use Old domain to just utilize the DA of old one. But yeah some of pioneer’s recommend, I think every one have their own choice. The most important factor all the time is the SEO friendly permalink without that it’s really hard to get ranked. Many bloggers are there who are trading old domains. Though just like you, I never bought any and never planned. I like to buy the new domains and keep them alive for years. The permalink structure is the master key to reach more people through search engine. After inheriting your site, you should get focused. One question please, if you get a new domain and point the old domain to it, will the new domain inherit the old domain’s Alexa ranking and how long do you think it will take before this happens? You can’t inherit the Alexa rank or domain authority of one domain to another. The redirection only means that your visitors will get redirected to your new domain, nothing else.